We’re unveiling a seriously amazing extension that gives recipe creators every tool they need to monetize recipes. Add a new income stream to your personal or business revenue and prosper with this feature-rich extension. Our experience building tools for creators to sell recipes in new digital formats since 2006 for custom WordPress blog and site customers used to be been defined by thousands of dollars worth of initial investment costs in plugins, extensions, custom code, and modifications. 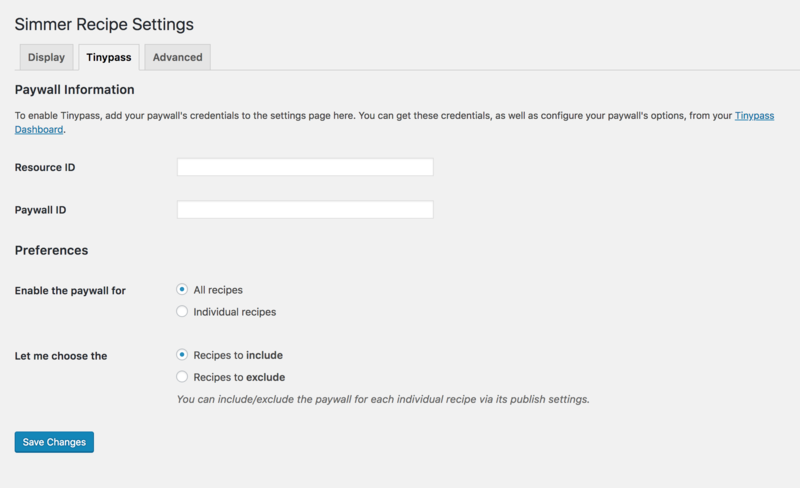 Instead of expecting creators to sort through issues with starting up, we built the all-in-one Recipe Paywall plugin. It’s a complete set of tools that take care of every part of eCommerce and recipe monetization for you, even including design and marketing anyone can edit. This WordPress plugin combines the tools for your payment processor, a variety of restricted vs. free content formats, eCommerce, and content marketing all into one. The best part about this extension is that it’s a lot more than a paywall and is really a sophisticated pricing tool that enables more than a simple either-you-pay-or-you’re-locked-out paradigm. Building a brand that relies on fresh, engaging content means you already have what you need to start profiting as a media business. The Recipe Paywall extension for the Simmer Pro WordPress recipe plugin makes this jump cost effective and fast. Let’s jump right into the benefits behind this new extension. Sustaining your blog or recipe content with sponsorships or advertising revenue alone is simply not an option for most media businesses. Instead of lowering the quality of your user experience with bulky and ugly advertisements, monetizing your recipe collection can give you the powerful customer base you need to sustain and grow your brand long-term. 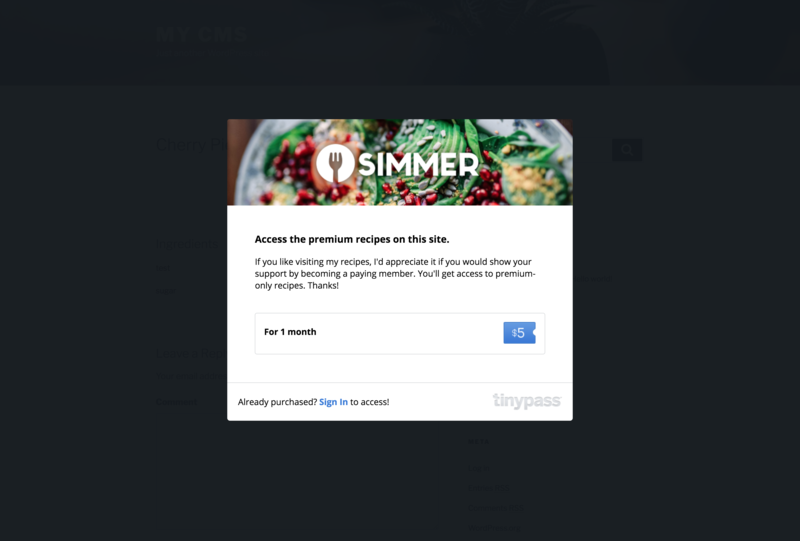 To control costs and make launching fast and easy, Simmer’s Recipe Paywall connects the powerful Piano publishing platform to Simmer Pro Recipes. Piano handles the security, payout, gifting, receipts, and other essential services behind your new business. 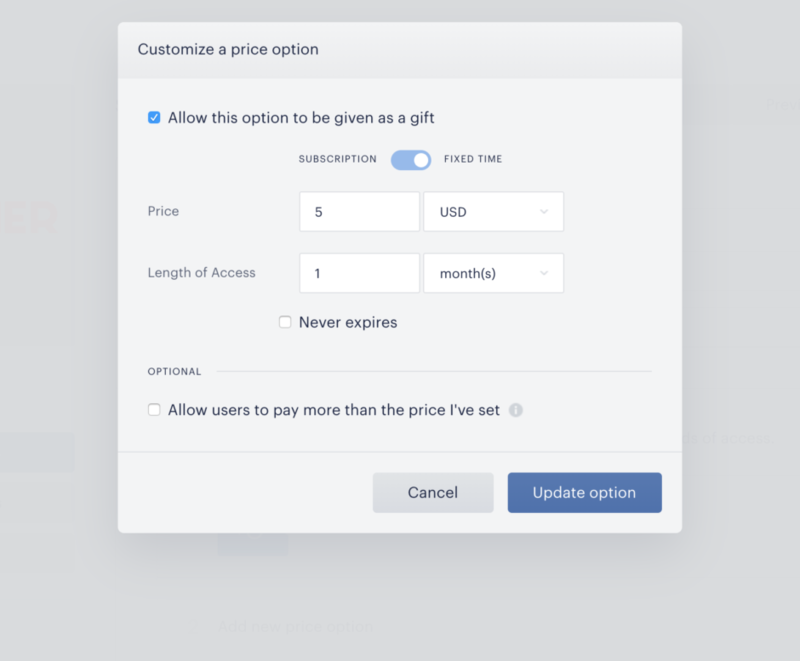 This extension provides tools for multiple pricing options in a single plugin, including leaky meter, subscription, expiring, or lifetime access. The Recipe Paywall extension is the only plugin you need to start monetizing recipes instantly. To get started now, buy a copy of the extension and install and activate it on your site. Finish up by registering for an instant Piano Publisher account. 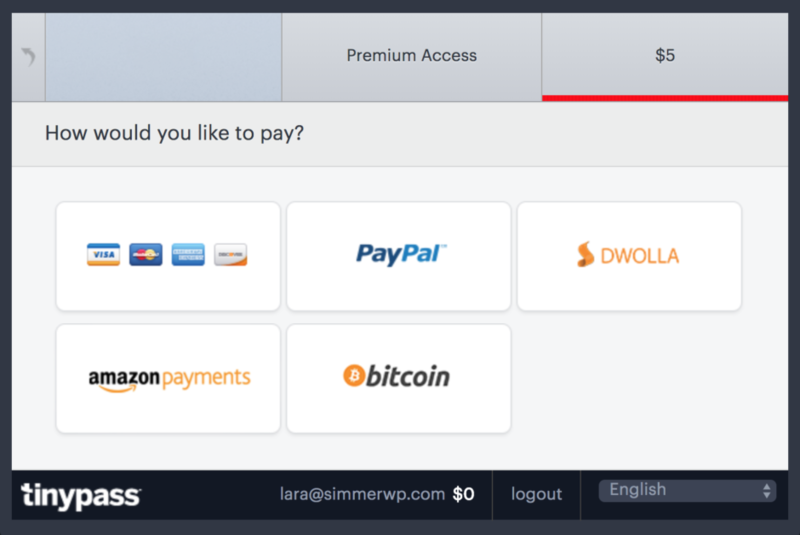 Add your account paywall ID and resource ID under Settings > Simmer > Tinypass. Your paywall is then controlled from your Piano dashboard including pricing, customer and order lists, curtain design, and other options. Pricing and marketing are two of the most important factors in setting up your new monetization. Successful digital products present obvious benefits with a clear path to success. Recipes and benefits that stand out against your competitors will also contribute to a successful business. Price and access configuration can be changed from your Piano dashboard. The first part of your Paywall to consider is access to your recipes. This plugin is built for two primary options. The first is a leaky meter or preview style system where visitors can view a metered maximum of recipes depending on the settings you configure your paywall to follow. To add further control while rewarding paying customers even more, choose a no preview or paywall style system. This setup allows you to control access to all your restricted content, allowing access to customers only depending on your configuration. We recommend you choose No Previews unless partial access to your paid content is part of your strategy. This will ensure all recipes marked for restriction behind your Paywall will not be accessible unless they’re customers. How often you charge customers is another essential part of your pricing strategy to decide. Your pricing has two options with this plugin: fixed vs. recurring payment. A fixed payment can have lifetime or expiring access. Lifetime access gives your customers a non-expiring pass to all restricted content and recipes on your site. A fixed time or expiring price lets you assign a length of time for access that ends after a specified length of time. To continue access, customers paying a fixed time price will need to manually repay to regain access. A recurring payment allows you to limit access to only actively paying customers. 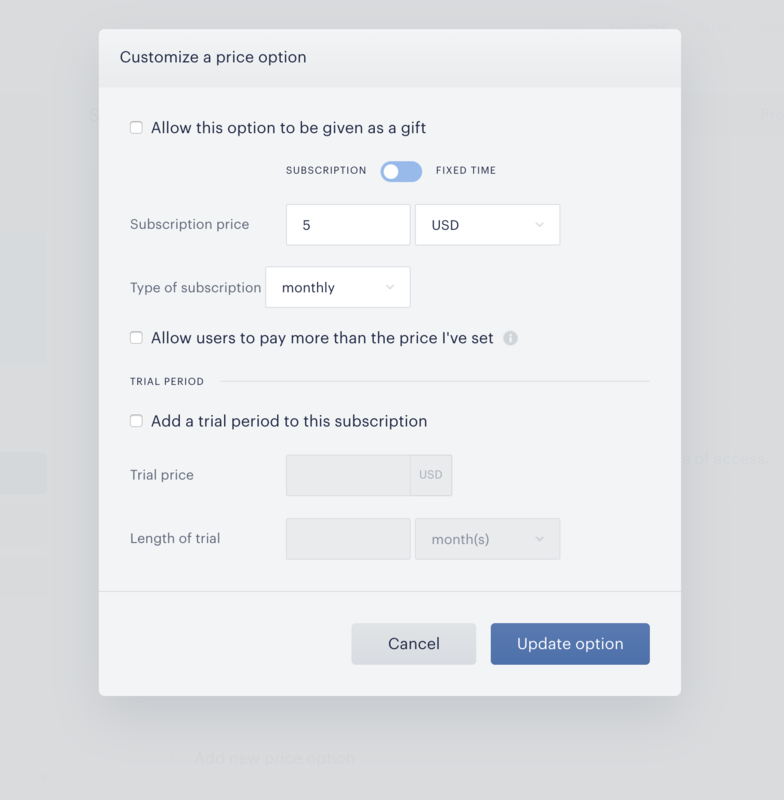 By setting the interval or access length, you set a subscription rate and choose how regularly customers will be charged until they cancel. Rates can be set over weekly, monthly, quarterly, yearly, or any other interval of time. Choosing recurring vs. fixed payments depends on if you want to use a subscription pricing method to provide revenue and funds to run and grow your brand or rely on revenue from initial signups only. If you want to automatically bill customers with a recurring payment, then choose the subscription option. If you do not want to automatically bill customers, then choose a fixed time price. We recommend choosing a subscription price combined with marketing and promotional content that accurately describes or depicts your paid content. A regular, high-quality newsletter or Facebook group provided only to paying customers allows you to maintain better conversations with paying customers which will reduce cancellations and keep subscription rates high. The recipes you choose to restrict behind your Paywall define the value behind your customer’s purchase. You will want to create recipes that give more value than other complimenting or free content. This value builds trust between you and customers. In addition to paid content, complimenting free or excluded content can be used as promotional marketing and content for your brand. Free recipes can be embedded in posts or pages with shortcodes or single recipes excluded from the paywall. There are two options to restrict recipes with this extension. To modify this setting go to Simmer > Settings > Tinypass. Recipes to include: the best option for newer recipe brands or publishers still building up their collection of recipe or blog content. Recipes to exclude: ideal for recipe blogs or sites with an established collection of recipes or existing business models. Add links to both relevant paywall restricted and free recipes from your blog to enhance SEO and user experience quality. The Recipe Paywall extension is fully compatible with the Recipe Connector, an extension that gives each of your posts and recipes a dynamic group of related recipes. Recipes and content experiences that give your customers obvious and significant value are what you want to restrict behind your Paywall. Recipes with unique ingredients, interesting or time-saving methods that yield a better result, or time-saving and totally new methods and ingredients are ideal. Keep some of your stand-out recipes free to promote your product to potential customers, but keep the majority placed exclusively for paying customers only. After choosing which recipes to include or exclude and your pricing, it’s time to finish the look and style of your Paywall. This curtain or paywall appears on your site or blog for non-customers only. Changing your Paywall curtain is easy. Editing the Paywall header, body copy, cover image, and other logos can all be selected from your Piano dashboard. 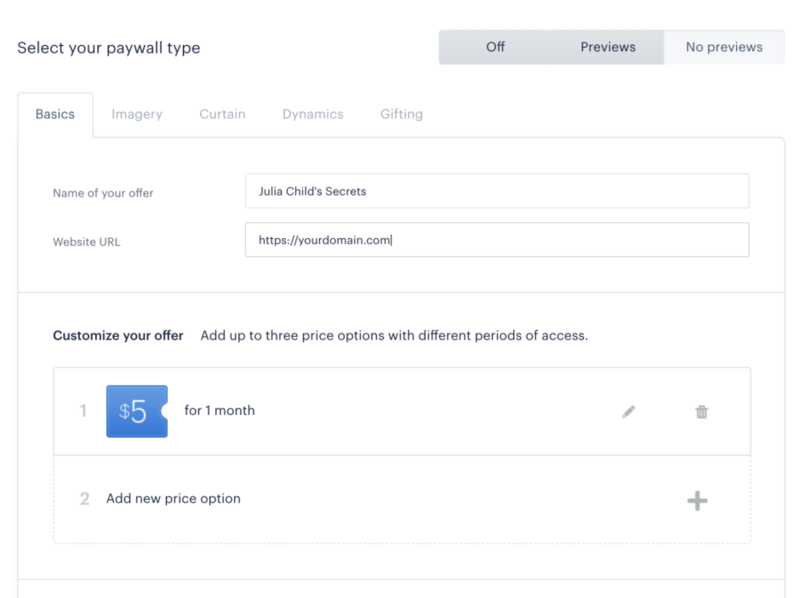 You can also present the option to close the paywall after it appears, which is ideal for sites or blogs using this setup in a donation or donor-sustained business model. Select the gift purchase link from your dashboard to promote gifted access. The standard options to edit your paywall curtain include a custom profile image, cover image, header text, and body copy. The header or marquee image for your curtain should be 640×160 pixels. Go to your Piano admin > Basics. Go to the Advanced tab. Edit or change the code to test your new Paywall modifications. You can also customize parts of the wrapper for your Paywall through your active WordPress theme. Your Piano dashboard also includes advanced options to connect elements on your site or blog to your subscription meter or customer payment. Display conditional buttons or other code depending on whether your customers are logged in or logged out of your products. For further assistance customizing your Paywall simply contact support. A variety of payment options ensure a fast and accessible checkout for potential customers. This plugin accepts multiple forms of payment which are paid out to sellers by Piano. Credit card, PayPal, Dwolla, Amazon Payments, and even Bitcoin are accepted automatically without additional setup. Piano accepts payments as small as 2 cents ($0.02), supports 24 different currencies. An example final checkout screen for a $5 access price. Customers receive a receipt and thank you email from your brand in addition to simple billing management. Simmer Pro Recipes includes a content section for embeddable video, affiliate links, GIFs and interactive media. When restricted behind your paywall, this content can only be reached by your customers. Instructional videos and product recommendations add value to your customers’ purchase. Selling digital products is a completely different business than selling physical products or services. The benefits and value of the internet provide benefits to digital product businesses that do not exist in any other industry or business method. These enormous market sizes ensure you have a wide potential group of target customers to sell your digital products. The better you can define your target customer, the more value your products will hold for potential customers and your revenue. The startup and longterm costs of selling digital goods vs. physical goods is also significantly more affordable. This low barrier to entry for new digital products to enter online markets means lower costs for you. Instead of waiting for someone else to achieve your dreams of book publication for you, go ahead and do it yourself or with a tiny team instead. Stay updated with this blog to learn regular, valuable tips to run your digital product or physical product business through eCommerce for lifestyle and related areas. To get started monetizing recipes now, follow these simple instructions. Simmer Pro customers who choose a bundle save on both our extensions and core WordPress recipe plugin. That’s it! Enjoy your new business and revenue from your original recipes or creations. Build your brand to attract customers and prosper. Grab the extension here and our WordPress recipe plugin here. You an also check out the FAQ or instructions.